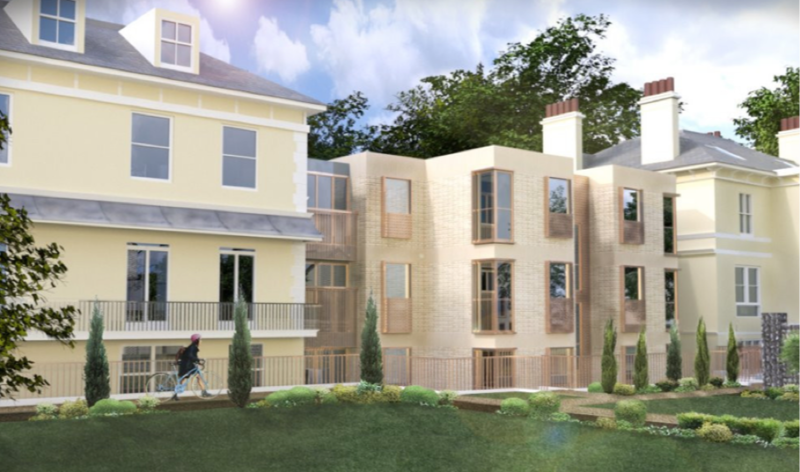 Located beside Preston Park in the heart of Brighton and Hove, Preston Road is a collection of one, two and three-bedroom Shared Ownership homes, launching in spring 2019. Based around two carefully restored Victorian villas, both of which are generous in size and full of period features, and a modern building that links the two historic properties, Preston Road carefully blends the beauty of a bygone era with contemporary design. In addition to its impressive architecture and beautiful interior design, Preston Road has a host of exciting facilities that make it ideal for contemporary living. For example, Preston Road offers ample off-street parking for all residents courtesy of its own secure car park. Homeowners can also enjoy secure cycle storage and access to the communal garden shed. Preston Road also has a charming internal communal courtyard, as well as sweeping landscaped lawns around the property that contain attractive planting and mature trees - perfect for those who want nature on their doorstep. Are you looking for a stylish and modern home in Brighton and Hove? Our brand new Shared Ownership development, Preston Road, is perfectly located in the vibrant city of Brighton and Hove. To receive exclusive monthly email updates about this development, including floorplans, images, open day details, launch dates and prices, register your details with us now at our dedicated Preston Road website.